Our Churchyards are many hundreds of years old and have been and are lovingly cared for. They are places of peace and solace and dignity. Various regulations apply so that their sanctity can be preserved and details can be seen at the Diocesan Registry web site. A churchyard is also much more than a garden around a church. It is a burial ground, but also a place of quiet reflection and recreation, a habitat for rare plant and animal species, and the setting of the church building. 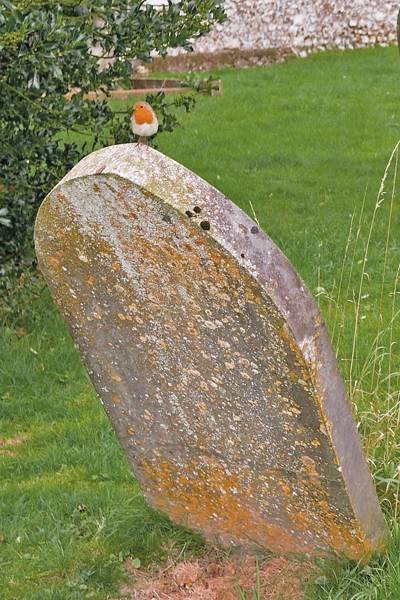 The good management of a churchyard needs to take into account a range of issues, from the burial rights of parishioners to the wildlife management of the churchyard. The Norfolk Churchya rd Conservation Scheme was established in 1981 and is run by Norfolk Wildlife Trust in collaboration with the Diocese of Norwich. Nearly half of Norfolk’s parish churches are registered under the scheme, which aims to help churches manage their churchyards to protect the plant species of particular interest while observing the main requirements of the church. Norfolk was once rich in wildflower meadows with sympathetic management practices such as cutting and grazing allowing them to flourish. However, since the Second World War this traditional management has been replaced by widespread application of fertilisers, herbicides and large scale reseeding and ploughing up of wildflower meadows. It is estimated that since 1945, 98 percent of English wildflower meadows once widespread in the countryside have vanished. Many Norfolk churchyards are remnants of these meadows (often present before the church itself) and vital to the survival of six wildflower species in Norfolk, where at least 50 percent of their populations are in churchyards. Churchyards are often a mosaic of habitats - grassland, hedgerows, scrub, veteran trees and woodland - which are great for wildlife. Even the gravestones and the churches themselves form an important part of the churchyard habitat. The stone is of particular importance for lichen and other stonework plants. Churchyards tend to be chemical free and relatively undisturbed, making them very attractive for wildlife both in towns and the countryside. They are often the last refuge within a parish for the wildlife and habitats they support. 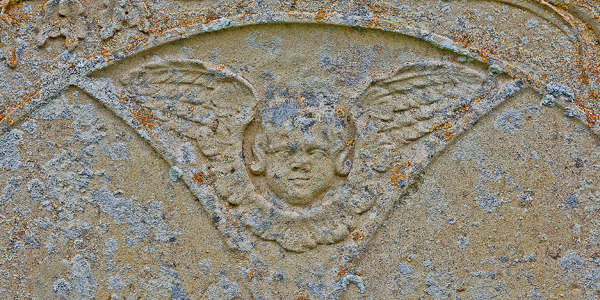 You can learn more about Churchyard Conservation at the NWT web site or take a look at the web site of Caring For God's Acre. This is a trust, with Prince Charles as President, that is commited to Churchyard Conservation. They have a wonderful A-Z of all the benefits of careful managed conservation. Click here. Some of our Churches are already actively engaged in this conservation scheme and hope that their Churchyards can become a haven for wildlife yet still have that tidy, cared and loved for appearance that we all expect. The two purposes can be brought together to create a beautiful place where people can rest and reflect. Areas where wildflowers are left to flourish are gteat places for bees and butterflies to thrive, but also add beauty for all to enjoy. The maintenance of our churchyard is now under control. We have found a new contractor, who will strim the older part of the burial ground and around the older headstones and edges regularly during the summer months. The areas the builder has disturbed still need to be tidied and re-seeded in the Autumn and this is in hand. Trevor and Lester continue to keep the grass mown on a volunteer basis. Thank you guys! Thanks also to Tony Leigh who stepped in to help when both Trevor and Lester were out of action earlier in the summer. There is always much to do and the Parochial Church Council are putting together a maintenance plan to ensure regular maintenance issues are dealt with – this will also need to include repairs to the crumbling boundary walls and broken kissing gate at some point. Anyone who feels they could help in any way would be warmly welcomed! Many of you already do so much by caring for loved ones graves and more! Thank you. The wildlife areas (along the north wall, under the trees on the east side and the small ‘patches’ to the west side) have now been strimmed and the grass raked off. Thanks are due to local volunteers, especially Catherine Leigh, John Hayes and the team from the Gaywood Valley Conservation Group who did a great job when they spent the morning of Mon. 27th July working with brush cutter, rakes and barrows. As this project progresses, next year we should see an increase in the number and diversity of wildflowers to enhance the beauty and tranquility of our churchyard and its importance as a wildlife habitat. Can we ever be nearer to God’s heart than when in His garden surrounded by His creation. The Gaywood Valley Conservation Group is open for everyone to take part. You do not need to make a regular commitment or be physically fit. Some seesion focus on learning more about wildlife whilst others include a range of physical tasks. Come along to River Lane car park, Beulah Street, King's Lynn PE30 4DN on Monday mornings at 9.30 am for the chance to learn more. You can also look at the web site by clicking here or email: gvcg2015@gmail.com or tel: 07944 953397. The GVCG report of the work done in October 2015 is click here and the July 2015 report is click here. St Lawrence, Harpley hosted a very successful Bat Night in July, with over 100 people attending. Norfolk Wildlife Trust were there as well as Phillip Parker of the Bat Conservation Trust, who gave an enthralling talk. Later he set up infra red lighting within the Church to show the bats flying around. Harpley has one of the largest maternal bat roosts in the region ...and they bring their own particular problems. Read more on the next page. click here. A very old area of the Churchyard has been set aside and cordoned off to allow the grass there to grow. This will enable dormant wild flower seeds to come through and not be cut back. The area will be managed and monitored by the Norfolk Wildlife Trust who will also send a botanist to examine growth in the summer. The area will be treated as ancient meadow and scythed down just twice each year with the cut grass removed. Conservation area March 2017 Lynda,Elizabeth & Sally record the Churchyard's flora. The frothy, yellow flowers of Lady's Bedstraw scent the air with honey. The stems can be so dense with flowers that they carpet the grass with yellow from June to September. Dried, it has the scent of new-mown hay, and its name is probably from the tradition of stuffing straw mattresses with it, particularly those of women about to give birth. There is a full report of the survey which can be seen by clicking here.